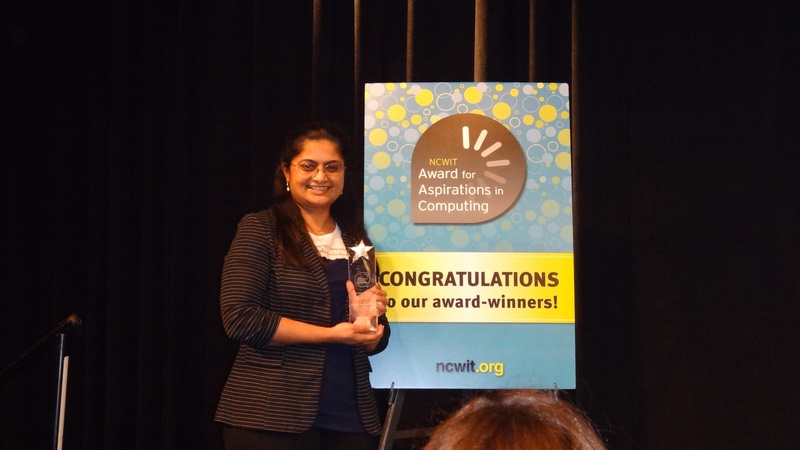 On May 13th, the 2017 NCWIT Award ceremony was held at the Computer History Museum in Mountain View, California. Five BASIS Independent Silicon Valley students were presented with Affiliate Awards, while Ms. Bhattacharya received an educator award. NCWIT (The National Center for Women & Information Technology) is the only non-profit focused on women's participation in computing that spans kindergarten to higher education and beyond into entrepreneurial support in the post college years. More specifically, the NCWIT Award for Aspirations in Computing honors female high school students who are active and engaged in computer science, and allows for recognition at the local and national level. The recipients are selected for their proven interest and achievements in computing, leadership skills, academic accomplishments, and college aspirations. 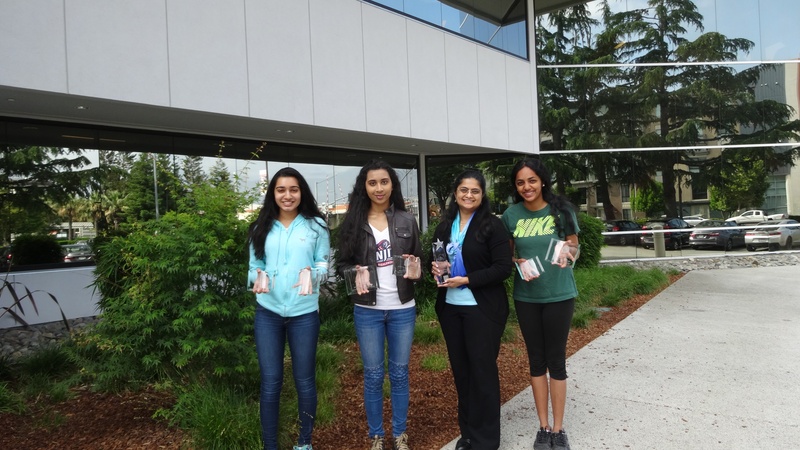 Three out of the five of our student winners (from left to right): Shreya S., Sara S., Ms. Bhattacharya and Shreya K. Not pictured: Eva P. and Aishwarya T.
We are so excited for the recognition of our students' passion and zeal for computer science. We congratulate them for their ongoing efforts and couldn't be more proud of what they have achieved. Ms. Bhattacharya serves as a most excellent role model for all of our computer science students as well-we are quite lucky to have her at BASIS Independent Silicon Valley.